I sat on this for almost one and a half years, because every time I looked at it I thought the idea behind it was stronger than the actual image itself. Last night that seemed to change, and I’m not sure why. 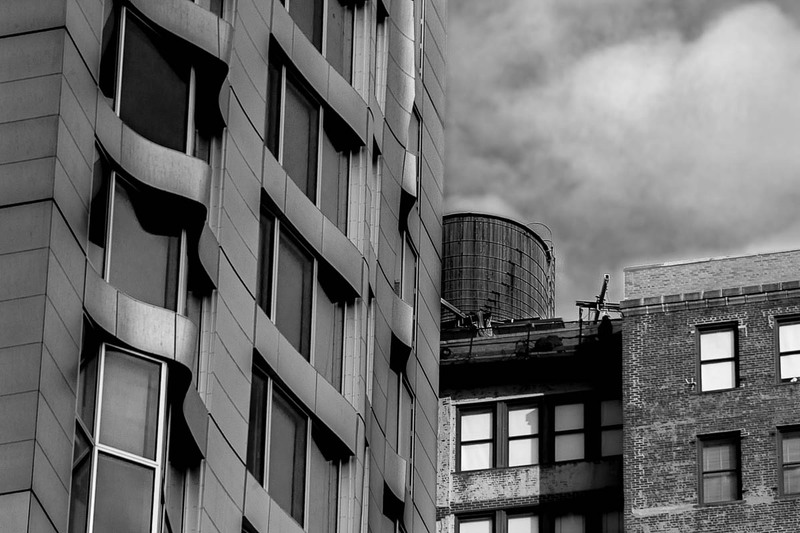 This is a section of the New York by Gehry residential tower in downtown Manhattan, set against a neighboring building, with its rooftop water tower. Pretty interesting contrast between the buildings! Glad you chose to turn it loose! Nice image, Mark. I like the architectural contrasts. And the sky is a bonus. Great job. I like this shot, nice contrast between old and new.